Axses Web Communications' flagship website is www.Barbados.org, the most established and highly ranked website about Barbados. 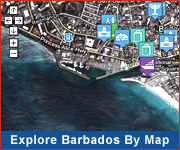 Barbados.org offers detailed information on Barbados, with thousands of images and pages covering everything from local heritage and architecture to hotels and shopping. 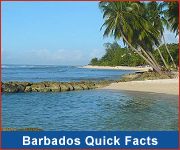 Barbados.org is heavily linked to from authority travel, news and university sites and is vigorously promoted through social media. The site displays over a million page views monthly to nearly a half million visitors, with over 130 million hits a year!. Contact us to promote your hospitality or travel business on Barbados.org. 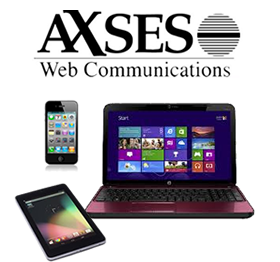 Axses Web Communications has multiple other online marketing channels, all of which are available for you to advertise in. These include BarbadosVacationSpecials.com, BarbadosHolidayPackages.com, BarbadosHolidayThemes.com, RealHolidays.com, CaribbeanHopping.com, Party-Destinations.com and Adventure-Travel-Destinations.com. Contact us for advertising rates on these channels. We provide information and consultation on the many other Internet channels available to you. We constantly track Internet market trends and activities and can help you create the right strategy in this dynamic marketing medium. Our Social Index Engine service is designed for your hotel and tourism marketing and for 100 other industry niches. See http://www.axses.net/socialindexengine for more information. Axses are pioneers in the development of Internet technology, particularly for the travel industry. Our products include Visual Bookings Technology, an interactive, intuitive, highly responsive and visual bookings service; arcRes reservation engine and e-commerce system; RealHolidays dynamic packaging system; and DestinationSuites the complete destination portal. Our software is designed to meet the multiple needs of the travel market - from travellers looking for easy-to-use, functional sites; to resort managers who require efficient software sensitive to their management, marketing and branding needs; to travel agents who need a system to handle marketing and communications services. Please contact us for more information on these services, and visit our corporate site at http://axses.com.